The final leg of our trip was Madrid, Spain. Doug and I were both eager to experience Madrid since neither of us had been there before—and we were going to see our friend from college, Jonathan! Actually, having a friend in Madrid was one of the main reasons we booked a trip to Europe in the first place. We want to travel, well, everywhere, but were drawn to the prospect of seeing an old friend in a new place. We were glad to finally see the sun! The first day in Madrid didn’t quite go according to plan. Originally, we were supposed to arrive around 2:30 p.m. and check into our airbnb right away. However, as you may have read in my last post, our flight from Paris was cancelled and we rebooked the next, cheapest flight available. It happened to leave Paris around 6 a.m. which meant we woke up between 3:30 and 4 a.m. since we were worried about getting to the airport, checking baggage, and everything. (Paris’s airport is kind of far outside the city and it’s worth adding in extra time to get there). Anyway, our flight put us in Madrid around 10 a.m. We couldn’t check into our airbnb, so we had 4 hours to kill in a new city with all our luggage in tow. We ate at a nearby restaurant called El Madroño. The staff were a bit confused about Americans eating a full-fledged lunch at 11 a.m. because most of the restaurants don’t even open until around that time, and the lunch rush at most places is closer to 2. (note: I discovered that I loved running on Madrid Time). Anyway we really tried to drag out the meal because we didn’t have anywhere to go with all of our stuff. After we’d overstayed our welcome at the restaurant we headed up to Plaza Mayor, which is probably the most famous sight in Madrid and wasn’t very far from our airbnb. [Cut to us dragging rollerbags up a cobblestone hill.] Plaza Mayor is a nice, open square with a statue in the center. There are lots of restaurants and gift shops around the perimeter. We made a couple laps and stopped in the tourist center to get pamphlets and use their wi-fi. We walked a little farther to just outside an old monastery where we found a concrete bench. Doug read a book while I napped (comfy!). Finally we were able to check into our flat. The wait was worth it! Out of the three airbnbs we stayed in this was… well, tied for the most picturesque, with Paris, but it only had four flights of stairs instead of six! After another nap and a shower, we were ready to explore some more, meeting our friend when he got out of work at 6pm. He showed us around a few more parts of town including Catedral de Almudena, which we went into; it is an old cathedral filled with interesting art, and the Palacio Real, or royal palace (we just looked at the outside). We continued to trek around the city—including to his apartment in the south part of the city to drop some stuff off, then we checked out Mercado San Miguel (below), had tapas for dinner, did more exploring out to the east, then back to our flat to stay up really late catching up and talking about old times—the best kind of conversations in my opinion. My fitbit clocked over 26,000 steps that day! The next morning we were exhausted and a bit under the weather, due to the rain in London and rain+stress in Paris. So, I slept in while Doug went out to explore the city. He didn’t find much because nothing really opens before 10. So, we had a lazy morning. Then we went to Retiro Park which is a beautiful huge park that has a variety of things to see, including Palacio de Cristal, and a large lake where one can rent a rowboat and paddle around. I bought a comic book (in Spanish) from one of the bookseller booths and we sat on the grass trying to decipher the plot using intuition, Doug’s beginner Spanish skills, and adapting my French knowledge to fit. During the evening was more bumming around with our friend. We had a fancy dinner at a culinary art school (so it was fancy but inexpensive) and checked out more of the Centro neighborhood. Lots of walking, but not as much as the day before. On our final day in Madrid we went to Reina Sofia, the modern art museum. There is also one of the world’s top art museums, Museo Nacional del Prado, but we’d seen a lot of classic-style art in the Louvre and overall, we prefer modern art. (Also, Reina Sofia was a bit cheaper and we were nearly out of Euros by this point). That evening, we were able to see Jonathan in a variety show! It turns out there is a thriving expat performing arts community in Madrid. I was really excited to be able to attend—he does stand-up too, usually on the weekends. This show was on a Wednesday, fortunately for us! The next morning we made it to the airport with plenty of time, and didn’t have to get up at 4 a.m. to do it. Ah, it’s so nice when things go according to plan. The beat of life in Madrid was much more slow and leisurely, which was a great change of pace after busy, bustling London and cosmopolitan Paris. By this point in the trip Doug and I both had full-fledged colds so it was nice (and necessary!) to slow down. Busy-busy-busy trips have their pros, and so do relaxing trips. What pace of life do you look for on a vacation? Getting dinner at a culinary arts school… that’s a brilliant idea!! I want to go to Spain so, so badly. It’s a real dream of mine. I’m so glad that you got to go and tell us all about it! 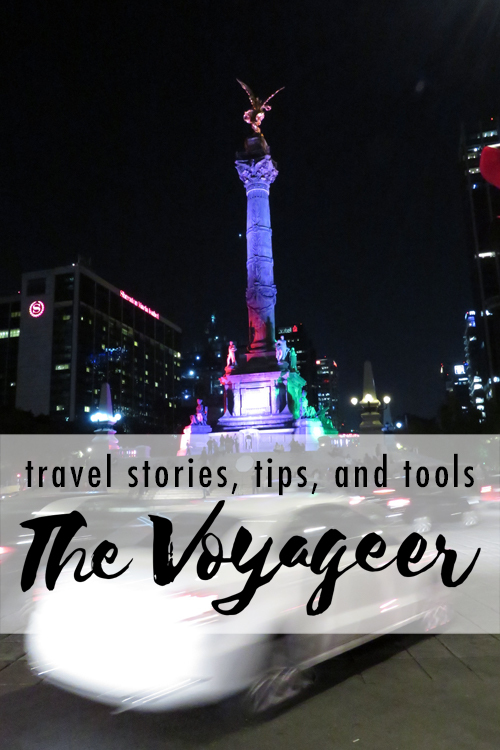 Have you/ would you consider writing a post about tips for international travel? I have considered that and I plan on writing a post like that! :D I certainly hope you are able to achieve your dream of visiting Spain. You will LOVE it. These photos were gorgeous – looks like you were able to experience such a wide range while you were there! Glad you had so much fun! Next Next post: “We Should All be Feminists” Book Review and August Selection!